Cape Town - A dashing 60-run unbeaten stand between Gihahn Cloete and Matthew Breetzke helped the Warriors sneak a four-run DLS victory over defending champions the Titans in their rain-affected CSA T20 Challenge opener in Centurion on Friday. The pair batted for all six overs that were possible during the weather-interrupted chase of a stiff 217-run target at SuperSport Park, but it proved enough as the visitors' 60 for none score put them ahead of the rate - which ultimately handed them a win. The Titans, fresh from winning the One-Day Cup last Sunday, were put into bat first after losing the toss, with Henry Davids (20) and Tony de Zorzi (16) giving them a solid start with 39 in just over four overs. 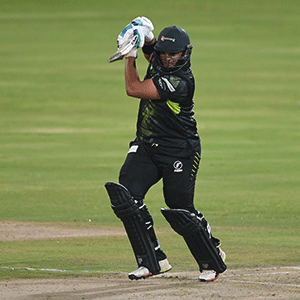 Cloete was the aggressor, smashing 46 off 25 balls, while Breetzke chipped in with 11 off 13 - the Warriors ahead when rained returned again to clinch a fortuitous win.